Is Blockchain a Universal Platform? Emerging Markets are getting ready! The most common discourse surrounding the promise blockchain provides regarding information transparency and security revolves around finance, and – as we have proven – real estate. Nonetheless, blockchain is still a niche interest within the business world. To prevent it from remaining in a somewhat oligarchical state, we need to ask ourselves a very important question: Is Blockchain Universal? Can the platforms it provides work for any emerging market? Let’s look at an emerging market – renewable energy. As of 2015, the average energy efficiency rate – calculated as units of energy per unit of GDP – is a paltry 1.8%. The emerging market is niche and oligarchical. By applying blockchain technology into the market, we see something very interesting. Instead of energy users being consumers, energy users can become prosumers. In order to be a responsible prosumer, with a micro-grid dedicated to fully renewable energy use, blockchain allows you to monitor the exchange of energy between the point of creation – via a solar panel, for example – to the consumption of it through not just your home, but another prosumer’s home. Within this digital ledger, energy use can be monitored and maintained in such a way that community members are actively engaged with their utilities in a way that benefits a community as a whole. It would be completely ridiculous to suggest that the insurance industry is an emerging market – in fact, it is the largest market in the world with staggering 1.2 trillion dollars in revenue. Despite this position the market it is in, insurance is caught in a slog deeply rooted in traditional practices. Blockchain can be used to create sub-markets within the industry: Peer-to-peer insurance, which cuts out the middlemen and provides greater portions of premiums to the policyholder; Parametric insurance, which uses a smart contract to automatically pay twenty percent of any type of claim; and Microinsurance, which can be used for international donations which need to be monitored every step of the way from payment to reception. These minor markets provide competition within the industry that will boost consumer empowerment and overall growth. The Health Insurance Portability and Accountability Act (HIPAA) is America’s way of establishing confidentiality within health records. Traditionally, health records get traded around and around to many different entities when it comes to a simple process of acquiring medications. At any point in the process, information can be illegally expressed or altered, which can have sickening consequences: Overpriced supplies, identity theft, even medications that can poison the patient. Blockchain improves HIPAA drastically by the exact same system that empowers the real estate market. Middlemen can gain access to the information through a blockchain ledger but cannot access the information in any way in order to alter it. That privilege is reserved only for the prescriber, the pharmacist, and you. If that isn’t a way to make healthcare healthy, who knows what will. Finally, there is the matter of supply chains or logistics. Logistics keeps the world moving, twenty-four hours a day, seven days a week, three-hundred and sixty-five days a year. Nowhere is this more important than in the farm-to-table process. Consumers are becoming more aware of the logistics required for something as necessary as food consumption, and the dangers that come with each step of the way. Before blockchain, it used to take supply chain companies over a week to track where food came from. Now it only takes two seconds. 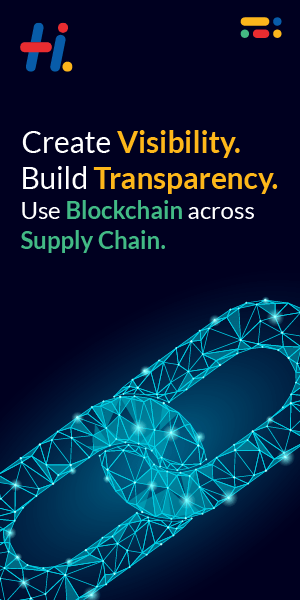 The blockchain ledger’s transparency allows logistics to pinpoint specific areas of the transportation process. This can even save lives down the road; for example, if there is an e. Coli outbreak, logistics can pinpoint where the infection began in a very short amount of time and quarantine product before it ever gets to a point where too many have become ill.
What we are seeing with blockchain development is an expansion of the technology in ways that are not technological or even financial. Any historian of civilization will tell you that if the technology isn’t applicable to the culture that uses it, it is nothing. It is safe to say that blockchain is well on its way, going beyond the uses applicable only to those select few who know about it and work with it. The blockchain is above all, for the people. Lannister Holdings, Inc is a publicly-traded full stack Blockchain technology development company based in Phoenix Arizona and the first company to bring blockchain to real estate. Through our trade name Lannister Development, we operate a for-hire blockchain development and consulting business…we do a lot. And it is all in the name of world-class innovation.